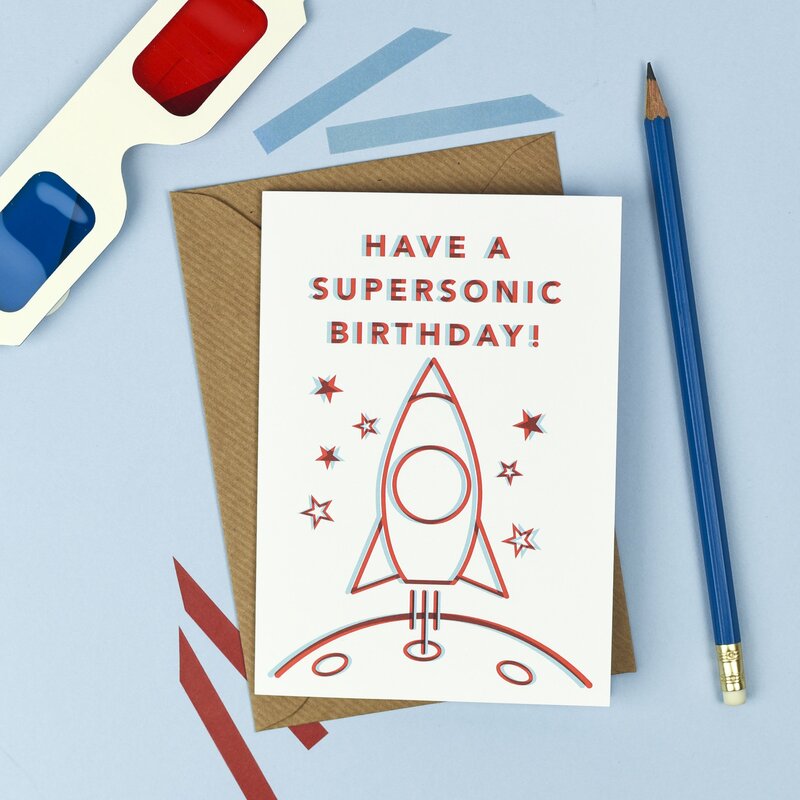 Unique ‘supersonic’ birthday card with a rocketship graphic. Sold with red and blue 3D anaglyph glasses to make the design pop! Appeals to grown ups and children alike! Part of a wider 3D card range designed by Kate & The Ink.